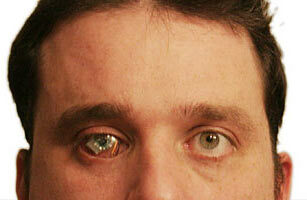 Rob Spence, a 37-year-old Canadian filmmaker, sustained permanent damage to his right eye when he was 9. Fast-forward to 2009, when Rob's quest to regain vision in his right eye takes an unusual spin. With the help of Kosta Grammatis, John Polanski, Martin Ling, Phil Bowen and camera provider OmniVision, he is attempting to replace his prosthetic eye with a battery-powered, wireless video camera, thereby making himself into an "Eyeborg," with the power to record exactly what he's looking at as digital video.